NB - Due to continuous USA/McIntosh/Chrome sourced spamming, this blog is no longer maintained. 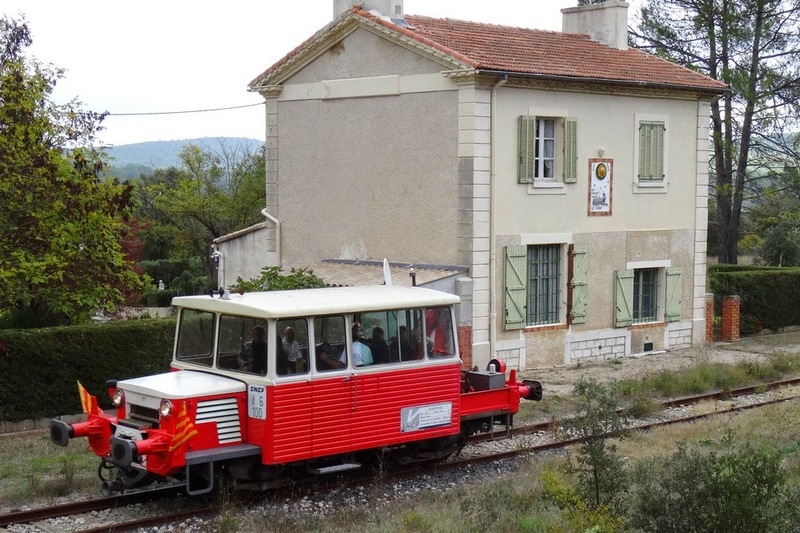 This motorized vehicle (speeder; motor car; crew car; in France called draisine) arrived to ATTCV in 2012. 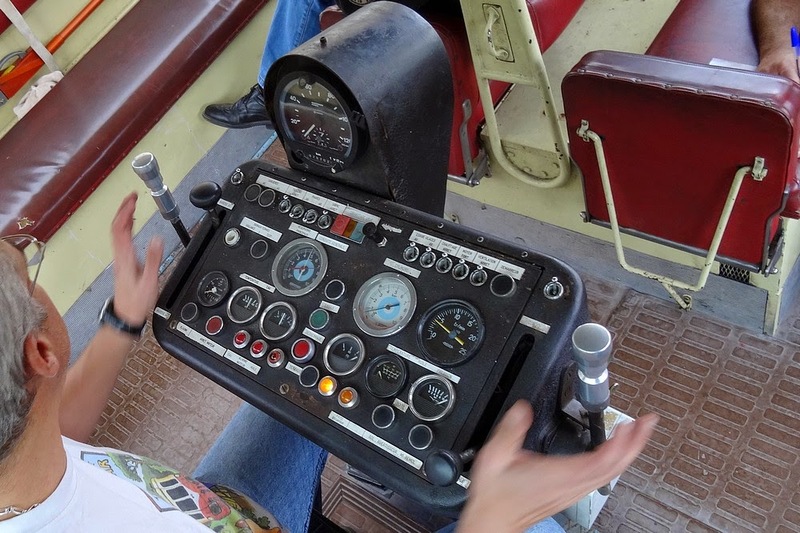 It was manufactured in 1965 and is intended for use as track inspection vehicle, including to move track and other work crews to/from the place of work. 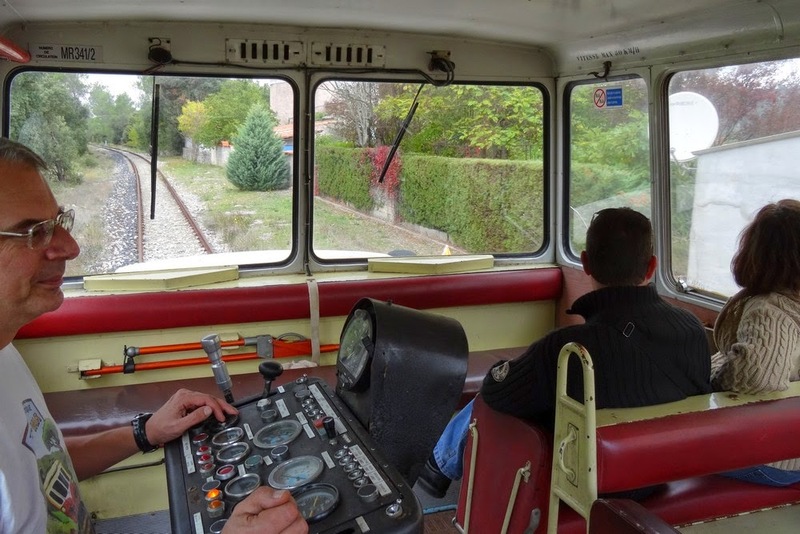 It has a length of 8.3 meters and can seat approximately 15 persons, inluding the driver (who is seated in the middle side of the cabin and changes his view of the line simply by turning his head to the left or to the right (cf. the driver's position in Picasso)). Maximum speed 80 km/h (on the Carnoules - Brignoles 40 km/h, as all vehicles). 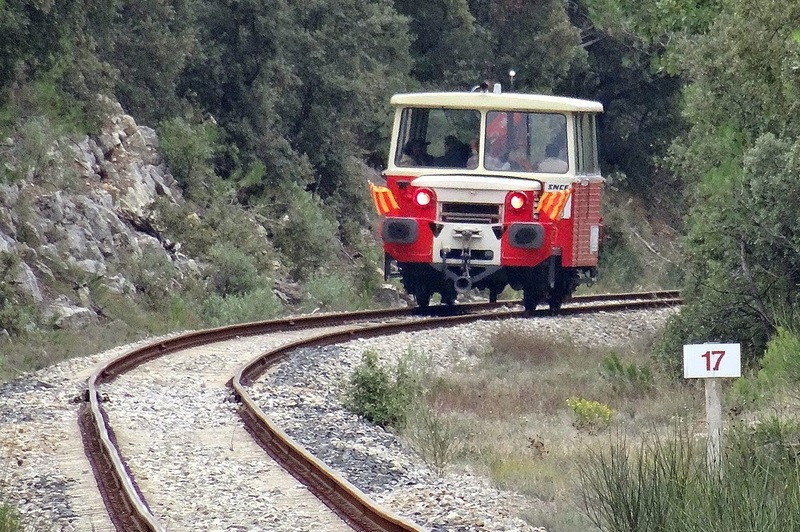 Prior to its arrival at ATTCV it was based in Aubagne east of Marseille. 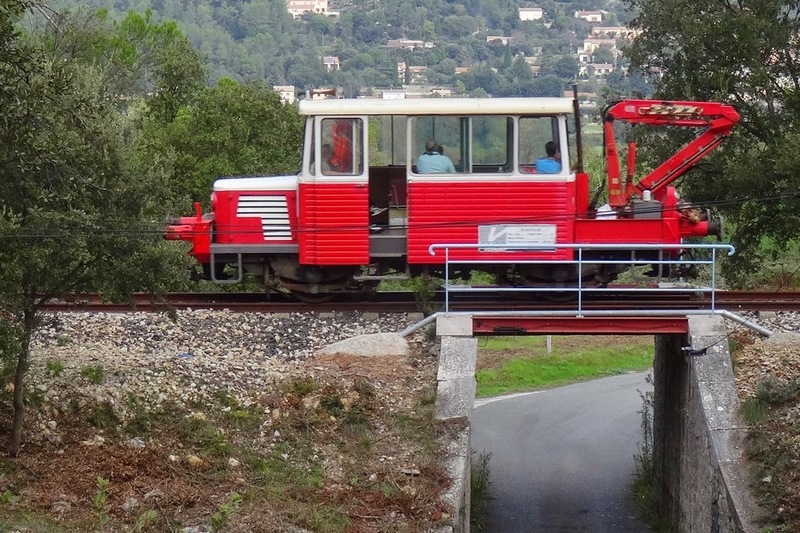 It is used by ATTCV primarily as a small railcar, for up to some one dozen passengers, sometimes as an introduction to travel with the association's larger railcars. 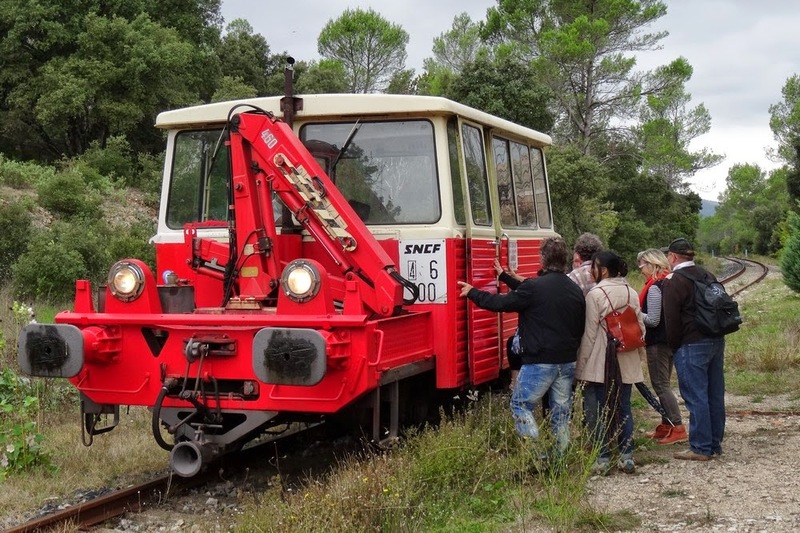 At a ceremony in connection with the 2013 version of the Chestnut Festival in Camps-la-Source, the draisine was baptized "Camps-la-Source" by the mayor of that commune, see DU 65 baptized Camps-la-Soruce. 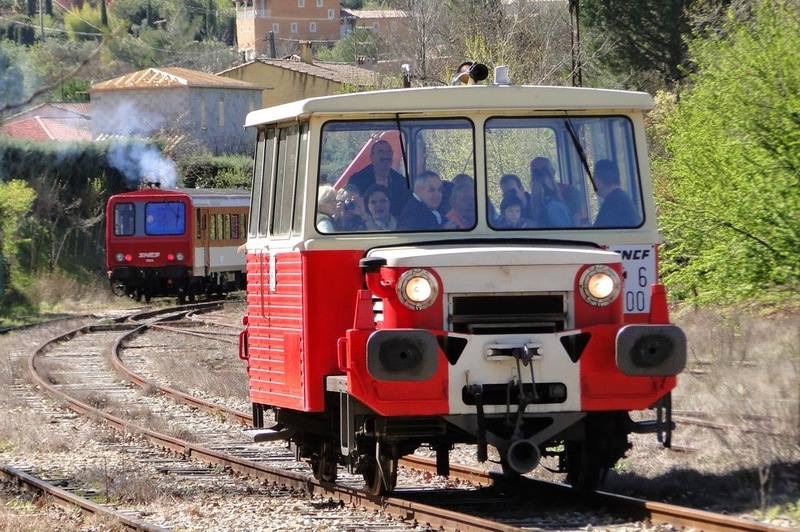 ATTCV's draisine DU 65 baptized "Camps-la-Source"
Information given in this blog about forthcoming events is believed to be correct at the time of writing/ publication, but may change at any time without notice. Always check the associations' official sites (linked above) for any changes and last minute updates prior to use. © Total or partial reproduction of photos in any form prohibited. Picture Window theme. Powered by Blogger.